Dewsbury, Is your boiler winter ready? The UK is moving closer and closer to turning on boilers all over the country. The warmer months are drawing to a close, the nights getting darker, and winter is in sight. From Dundee to Dewsbury, people are packing away the garden furniture and swapping it for their central heating system and a cup of hot chocolate. Almost half of Brits turned their boilers on in mid-October, meaning that there is only a couple of weeks to go to ensure that boilers are in working order. So what should you do to prepare your central heating for the cold weather? A regular boiler service is the easiest way to avoid boiler breakdowns and make sure everything is in top working order. It is best to get your boiler checked before the cold weather really kicks in, so you can be assured that your boiler is in great working order just when you need it. Months of non-use can create problems in gas appliances, and these problems can lead to central heating system failures when the appliance begins operating in winter. Boilers should be serviced every year in order to ensure that they are safe and efficient for your family. When the weather drops below zero, standing water in your pipes can freeze, which can block up your plumbing system. As water expands when it turns into ice, frozen pipes are also particularly likely to rupture and break. Pipe insulation is a simple, cost-effective solution to this problem. Similar to boiler services, plumbing insulation will not only reduce your likelihood of home emergencies, but will also improve the energy efficiency of your central heating and save you money in the long-term. Take a look at your boiler’s water pressure to see if your boiler needs the pressure reducing, or if you need to call out an engineer to take a look at it. If the pressure is too low, you may be able to bring it back up to the right pressure without any difficulty, but if it is too high, you might need to speak with a Gas Safe engineer. The start of winter is also a good time to bleed radiators. This will ensure that your central heating operates efficiently – if there is air trapped in the radiator, then it will not warm up as well as it would if it was full of water, and might not even properly warm up at all. Although it isn’t too cold outside just know, it is important to take a practice run of using your central heating system for a few hours before you really need it. This will allow you to discover whether or not it is working properly before the harsh winter weather arrives, enabling you to arrange central heating repairs when the weather is still somewhat pleasant if necessary. Is your boiler winter ready? It will be after these simple steps! This week is the sixth annual Gas Safety Week, aimed to raise awareness among landlords and homeowners about the importance of having their gas appliances serviced every year. As Gas Safe engineers we understand the importance of the event, where organisations across the UK will be working together alongside the Gas Safe Register to raise awareness of the dangers of poorly maintained gas appliances, which can lead to gas leaks, fires and carbon monoxide poisoning. Over 6,500 organisations across the UK have already signed up to take part in this year’s event, beating last year’s total of 5,123. We know gas safety is important all year round, but the value of Gas Safety Week lies in getting many people involved – strength in numbers! By focusing all of our communications in one week, we are more likely to generate media interest and have a greater impact. The event’s official hashtag is #GSW16 and you can follow @GasSafetyWeek on Twitter. Check your gas appliances every year. Gas appliances should be safety checked once a year and serviced regularly by a Gas Safe registered engineer. Tenants – make sure your landlord arranges this. Check your engineer is Gas Safe registered. You can find and check an engineer at www.GasSafeRegister.co.uk or call 0800 408 5500. At BrightGas we are a Gas Safe registered engineer, so if you’re in Dewsbury, Ossett, Batley and the surrounding areas we’re sure we can help! Check your engineer’s Gas Safe Register ID card. Make sure they are qualified for the work you need doing. You can find this information on the back of the card. Also you can input the licence number from the engineer’s ID card. Consumers will be able to see pictures of the registered engineers and details of their qualifications. It is also important to be aware of the six signs of carbon monoxide (CO) poisoning: headaches, dizziness, breathlessness, nausea, collapse and loss of consciousness. Unsafe gas appliances can put you at risk of CO poisoning, gas leaks, fires and explosions. By spotting the signs early you can ensure that your family are safe. Additionally, it is also important to fit an audible carbon monoxide alarm, which will alert you if there is carbon monoxide in your home. At BrightGas we want to ensure that you are safe in your home, so if you suspect any issues with a gas appliance of realise that your appliances are in need of a service, give us a call, 01924 631177. As the days begin to get shorter and colder, it’s a good idea to start thinking about what you might need to do to protect your home in the winter months. Although many of us do not like to think about the cold months ahead whilst we are still enjoying the light nights, September is the perfect month to get winter ready. After all, the winters are long, cold and dark. You don’t have to be an expert in DIY to prepare your home for the winter ahead; there are a number of easy steps you can take to make sure your home is as ready as possible. Having no central heating over the winter period is the last thing you want to be dealing with. 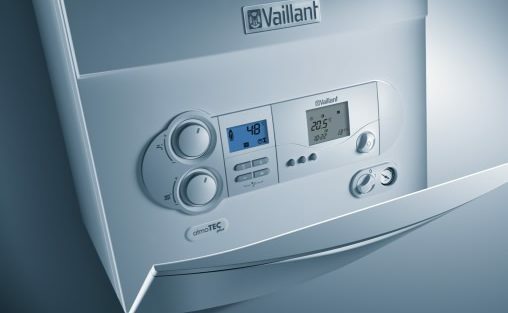 It is important to get your boiler serviced before the cold weather really kicks in, so that you can be assured that it is running as efficiently as possible. After all, you want to make sure you get as much heat out of it as possible. Always make sure that you use a Gas Safe registered engineer when you book a service, to ensure that you and your family are in safe hands. It is also worth asking the heating engineer if they think your boiler in the current state will last through the winter. There’s no point spending money heating your home if all of the heat is going straight back out again. Insulating your home is highly recommended, in order to keep the cold air out and keep the warm air in. In a property without insulation, around a quarter of heat in a house is lost through the roof, so insulating the loft is a good place to begin. It is also worth considering cavity wall insulation. Many councils provide these services free of charge, so make sure to check with your local council. As well as property insulation, you can do little things such as placing draft excluders across main doors and making sure curtains are drawn on an evening, so that the warn air is not hitting the cold glass and condensing. The best way to keep on top of pipes during the winter is to protect them with a foam layer (called lagging) which will help to prevent them freezing and bursting. This helps to keep the frost away from outside pipes, as the warmth of the pipe combined with frost can allow pipes to burst. These 3 easy ways to get your home ready for winter in Ossett will really make a difference to your home in the cold winter months ahead. It really does pay to be organised! Boilers can be a baffling thing, especially if you’re a new home owner. It takes time to be able to recognise and understand the functionality of your boiler, especially if it is different to what you are used to. With the winter months now in sight, it is important to get a good understanding of your boiler. A boiler is something many of us often take for granted. We just presume that we will have a constant flow of central heating and hot water no matter what. However, when you see an issue beginning to occur, it is important to know what you are meant to do. Leaks can be caused by a number of different things within a boiler such as the circulation pump or a crack in part of the pipeworks depending on age. If you see water leaking from your boiler, it is important to get someone to look at it quickly. Water and electricity are not a good mix and can potentially lead to a very serious issue. Most plumbers will be able to advise you on what to do until they have arrived. This is an issue that every homeowners dreads. Turning your hot tap on in the bathroom to discover only icy cold water or freezing cold radiators is a nightmare. Get on the phone straight away and call out an emergency plumber. It is important to make sure that anyone fixing your boiler is Gas Safe registered, meaning that they have passed all of the essential exams and are deemed fit to work on your boiler. The pilot light on your boilers is an obvious indication that your boiler is up and running. When this light goes out it highlights that there is a problem in the system as the boiler is unable to turn on. If you notice your pilot light isn’t coming on any more, you should call out a heating engineer to see if they can resolve the issue and get the your boiler up and running again. They may also be able to give you advice on how to prevent this from happening again. Once you have lived in your property for a while, you become familiar with certain noises and what sound most things should be making. If your boiler is making an unusual noise such as hissing, knocking or gurgling, there may be something wrong. These noises typically aren’t produced by a boiler, which may suggest that something is wrong or you have caught the early stages of a problem. It is important to consult with a heating engineer as they are more likely to know the cause and fix any issue. It is important that you call an engineer as soon as a problem arises as an untrained eye has no way of knowing how serious the issue in their home is. This Horbury Boiler advice for new homeowners is really important to be aware to prevent major damage before it happens. Heating engineer or plumber Mirfield? A question we get time and time again from customers is what’s the difference between a plumber and a heating engineer in Mirfield? It’s not as complex as you may have originally thought, but it’s always good to know who you need to call if something goes wrong at home! Plumbers are primarily responsible for installing and maintaining various types of piping systems and fixtures. Plumbers tend to work on wet and dry pipes. From dishwashers and drains to toilets and sinks, if you’ve got a leak, it’s a plumber you’ll need to call. Although some plumbers are also capable and qualified to work on heating appliances, it is important to check before hiring one to fix your boiler! So what do heating engineers do? For a heating engineer the clue is in the name! Basically heating engineers work solely on the heating appliances, primarily boilers and hot water sources. They carry out a wide range of jobs from maintaining and installing heating to fixing appliances when they break down. 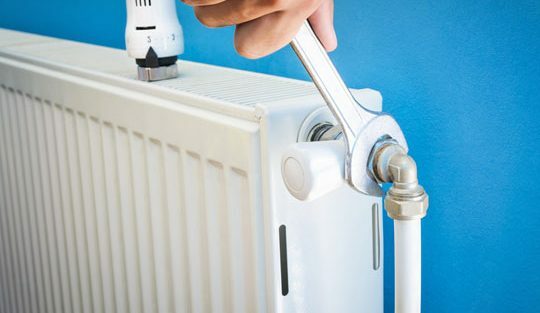 Heating plumbers tend to work on a wide range of properties including residential, commercial and industrial, ensuring that they are heated safely and efficiently. If a heating engineer is in need of water pipes altering or mending, they may contact a plumber to complete the job properly. Who do I contact for a boiler repair? If you are having trouble with your boiler then it is important to hire a heating engineer. If you are in the Mirfield area it is important to search for ‘Heating engineer in Mirfield’ to ensure that you are getting a fully trained engineer and local to the area. Whilst some plumbers may be able to fix an issue with your boiler, you may need to check that they are qualified to do so. As a Wakefield plumbing engineer we are constantly being asked about everything about boilers, from the installation to the best type. We don’t mind, as that’s what we specialise in, but we want to make it easy for you. After all, Boilers can be pretty complex, so no wonder that there’s so many question. With that in mind, we’ve compiled our most frequently asked questions and thought we would share some of our expert advice on boilers. A combi boiler provides a property with both central heating and hot water, meaning that there is no need for a separate water tank or hot water storage cylinders. As a Wakefield plumbing engineer we are seeing more and more property owners deciding to install a combi boiler instead of traditional heating and hot water system. Do combi boilers have any benefits? One key benefit of a combi boiler is the fact that they provide both central heating and hot water. This combination of powering both the heating and hot water can often mean that many homeowners find a reduction in their energy bills as they are often more economically friendly. Plus, they are very reliable, especially if serviced annually to keep them in top working condition. A service really is recommended and also keeps your warranty valid. Who can service my boiler? As a Wakefield plumbing engineer myself, the rest of my team or another gas safe registered engineer are all qualified to complete a service on your boiler. Having your boiler serviced every year will give you peace of mind that your appliance is operating safely and efficiently. Plus, it also reduces the risk of any potential boiler breakdown. An annual service is by a gas safe registered engineer is very important to validate your boiler warranty, as many companies and boiler manufacturers will dismiss warranties without an annual service. Is a new boiler expensive? Investing in a new boiler isn’t necessarily cheap, but it is definitely an investment in your home. Often boiler and central heating systems often go hand in hand, to create the most effective and energy efficient system, saving you both time and money in the long run. At Bright Gas we have a boiler finance scheme in which you can pay towards your boiler in monthly instalments and not have to face one big up front fee. If you’re not sure which boiler is right for your home, we are happy to carry out a free survey and provide you with plenty of advice on the best boiler for your home. Do the radiators need to be replaced when getting a new boiler? No, as long as your boilers are in a good working condition and providing heat, your radiators do not need to be replaced. If you are getting a member of our team to provide a quote for a new boiler, get them to double check your radiators whilst they are there too. If you do think they are underperforming they may just need a little TLC. As a team of Wakefield plumbing engineers we are here to solve any of your boiler queries. If you’ve got a question that we haven’t yet covered then just give us a call! It is important to have a central heating system that you can rely on. One aspect that you do not always consider when getting your central heating system installed or modified is that it is incredibly important to ensure you are getting the work completed by a Gas Safe registered engineer. Before hiring anyone to work on your boiler and central heating systems, you need to check that they are Gas Safe. Before commencing work, you can search on the internet for terms such as ‘gas safe central heating Horbury’ or ‘central heating Horbury’ to find a heating engineer or plumber that you trust. Nowadays with the internet so accessibly you can freely check that the plumber or heating engineer working on your property is fully qualified to complete the job in hand. A Gas Safe registered heating plumber or engineer must only ever carry out these activities. Any plumber that carries out this work without first obtaining a Gas Safe certificate will be breaking the law and could potentially endanger you and those living in your household. Here at Bright Gas we specialise in domestic boiler installations and maintenance. All of our team of heating engineers are Gas Safe registered and therefore competent in carrying out work on boilers and central heating systems safely. From boiler installations to boiler maintenance and servicing, we provide a wide range of services that allow our customers to benefit from efficient and effective heating systems in their home. So when you are searching for ‘central heating Horbury’ and our name pops up, you’ll know we are Gas safe engineers! Knowing a reliable and trustworthy heating engineer Ossett is really important. Whether it is a routine boiler service or an emergency call out, Bright Gas is here to help! We’re a team of local heating engineers based in Dewsbury, meaning that we’re on hand when you need us. As a family run business, we take pride in the work we do and always ensure that we complete every job to the highest quality and bespoke to your heating system. As experts in domestic boiler installations and repairs, when you are looking for a heating engineer in Ossett, make sure to get in touch with Bright Gas. We take a conscientious approach to installation, repair and maintenance work, delivering great results with minimal disruption for your home or business. As well as providing reliable and affordable solutions for general local plumber and heating requirements, we also ensure that every project we complete is designed specifically for your home, to ensure no future problems arise and are also wallet friendly. Large corporations, can typically seem like a great idea when in an emergency situation, but with such a high demand for callouts and typically extortionate fees, it makes them a lot less approachable and friendly. Plus, with a huge team of engineers working for them, getting the same engineer who knows and understands your boiler and heating system for every appointment is incredibly rare. We cover all aspects of plumbing and heating, our combination of experience and industry standards know-how enables us to deliver outstanding results on every task. Knowing a quality heating engineer in Ossett can really benefit when you face an emergency situation or are need of a reliable and local plumber to advise on a new boiler. At Bright Gas we always ensure that whatever the project, we put every client first. There is always a need for Leeds plumbers on a daily basis, whether it be an issue with a heating system or a burst pipe, you never know when you are going to need a plumber. Leeds plumbers are something that not everyone thinks to have a phone number handy for, but when an emergency situation arises, it is important to have a quality Leeds plumber on hand. In such a busy and vibrant city, you never know when something could go wrong and spoil your day. Having a full functioning boiler and heating system is something many of us often take for granted, it is not until something does not go to plan that you often find that you are in urgent need of a plumber. At Bright Gas we cover all aspects of plumbing and heating solutions in and around the Leeds area. Whether it be due to a boiler breakdown, emergency call out, boiler services or bathroom installations, at Bright Gas we can cover it all. Our team at Bright Gas understand that investing in a new boiler is a serious investment. That’s why we make sure that we help you through the entire process. We work very closely with top industry leading boiler manufacturers, including Worcester Bosch, Baxi and Viessmann, which allows us to find the ideal boiler for your property from a range of differ suppliers. At Bright Gas our team are all highly trained Gas Safe registered engineers, so that you can be assured that all of our engineers are trained to a high standard during the entirety of your installation. When looking for Leeds plumbers with experience in quality boiler installations, look no further than Bright Gas. When in an emergency situation, we understand that you need help as quickly as possible. Whether it is gas leak, burst pipe or major issue with your heating system, one of our engineers will do their best to get to you as quickly as possible. At Bright Gas we make sure that when you are searching for Leeds plumbers that we are the team to help you out of a mess situation. Extend the life of your boiler, reducing costly repairs, break downs and call out charges simply by investing in a power flush. Designed to clears the build-up of lime scale and sludge in your heating system, you can prevent heating problems arising such radiators not heating properly to stopping your boiler circulating hot water. When you’re looking for Leeds plumbers, make sure to call Bright Gas for help! This week we were called out to an emergency boiler repair Huddersfield in Deighton for a young family who had no hot water or heating. They had moved into the property three years previously and had no issues at all with their boiler since they took ownership of their home. No one had any experience with boilers and had no idea what to do so decided to contact a gas safe engineer and found our details on our website. It wasn’t too bad they had no heating as it was summer but it was quickly becoming a nightmare not having any hot water with two young children. They were also concerned that due to the age and appearance of the boiler it would need replacing entirely at a cost in excess of £1000. It quickly became apparent that their Worcester Bosch boiler had not been serviced for some years and certainly hadn’t been serviced in the three years they had lived there. We quickly did a full inspection of the boiler and determined that it was still in reasonable condition, despite its cosmetic appearance and was certainly worth trying to repair. We got to work following our standard series of inspection test to make sure the obvious quick fixes are checked first such as an electrical issue like a fuse or a water feed issue. Finally our diagnosis lead to the conclusion that a fan needed replacing as it had failed. Fortunately we could quickly get a compatible part from the local plumber’s merchant in Huddersfield the same day. All in all, we were only there two hours and managed to repair their existing boiler and perform a full service at the same time. The family were up and running again the same day safe in the knowledge their boiler didn’t need replacing and wouldn’t need a service again for another 12 months. Bright Gas are experts in all aspects of boiler systems & heating services; providing plumbing and heating solutions when you need them the most. At Bright Gas we pride ourselves on delivering high quality service on every job. Please Note: The majority of the images used within this website are stock images and are not of our own work.